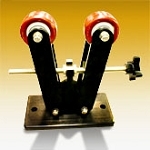 The Roto-Star welding positioners are a must for precision welding. These heavy duty units were designed to increase productivity and improve quality for a variety of applications. 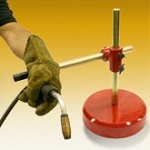 They are also adjustable from 0 to 90 degree by 15 degree increments and features a 300 amp double grounding system which eliminates feedback during high frequency welding. 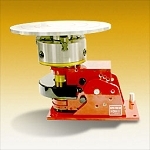 This unit is equipped with a standard 8 inch 3 jaw chuck with through hole and 250 lbs. of capacity. Optional accessories include an adjustable idler roller assembly, variable speed foot pedal control, surface plate, and arm rest. 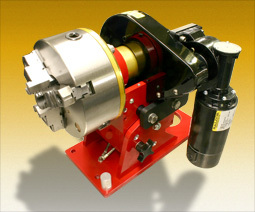 Roto-Star welding positioners are manufactured in the USA and carry a full one year warranty.